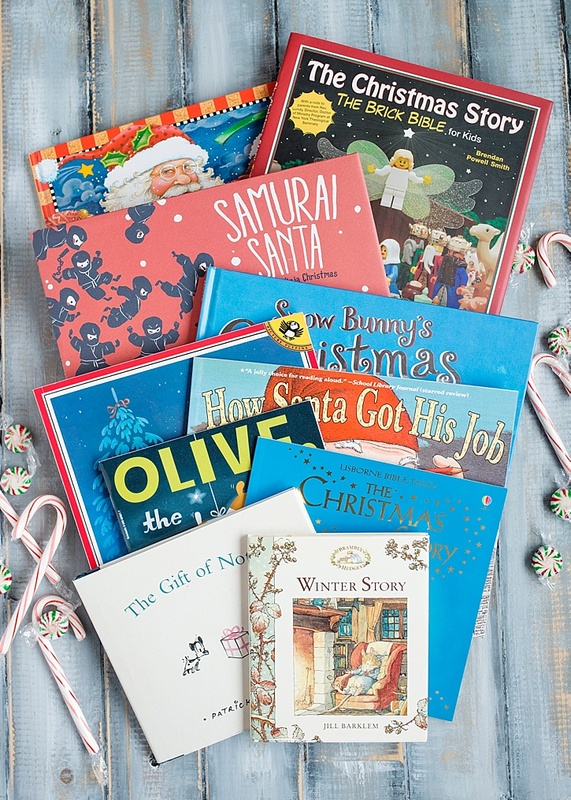 A sampling of the best Christmas books for kids to go along with our favorite Christmas tradition, reading Christmas books throughout the season. Last year I wrote about our Christmas book tradition that I started 12 years ago on my oldest son’s first Christmas. 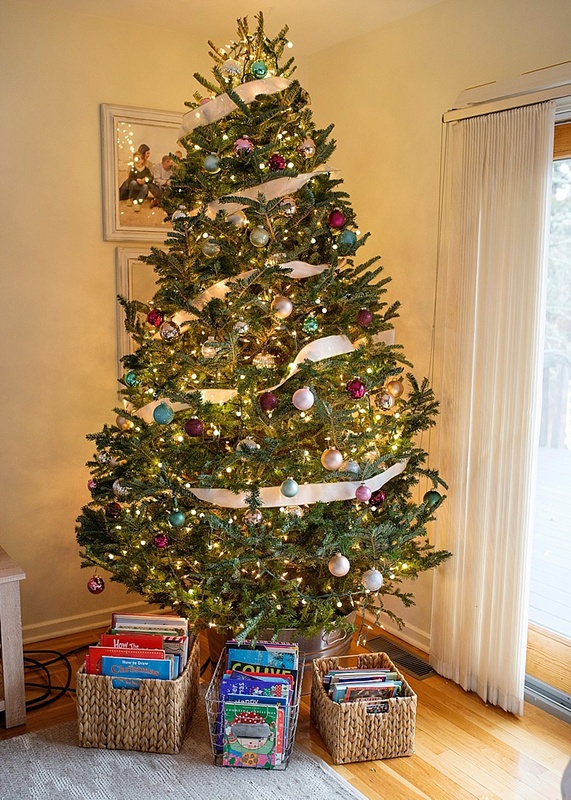 It is a very simple tradition, and one that is a favorite for me (the book buyer) and my children (the book readers). The gist is that each year I buy each child a Christmas or holiday book and write them a note inside with the year and a short message. I also buy a “house” book, and I also write the year inside. 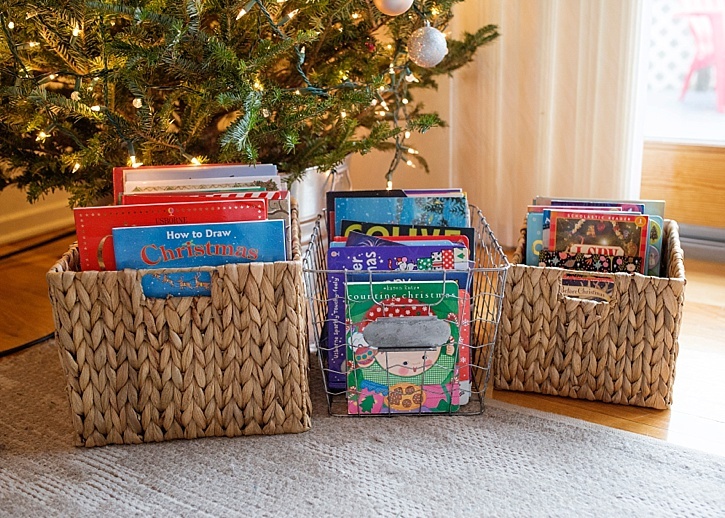 The intention is that when my children have families of their own, they will take their set of Christmas books to their own homes to share with their family, and the house book will be at my house to enjoy with my grandchildren (if we are blessed to have some). 12 years into this tradition, we have a lot of beautiful and special holiday books to enjoy throughout the holiday season. 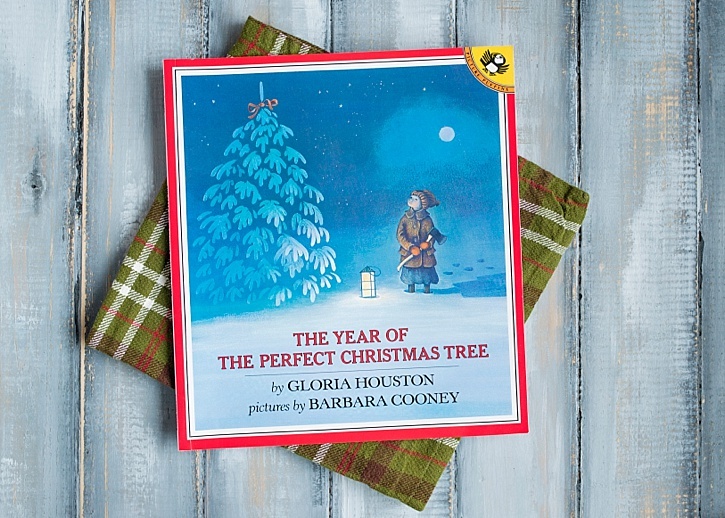 The Christmas books come out the evening that the Christmas tree goes up. And they go back into storage when the tree comes down. They are special and are treated as such. Christmas book night is one of the kid’s favorite nights of the year. They love looking through the stacks of books and reminiscing about Christmas past. 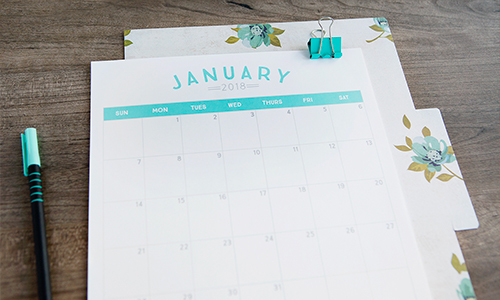 When picking the books, I try to match the book with either the place where we are living at the time (we are a military family, so we move a lot), something about the year, or an interest they have at the time. It is like walking back in time with them. Over the years, we have collected quite a few books and I am often asked about which books are our favorites. I chose a few to share with you, but there are so many. Each year, there are new books published and as my children grow and so does their reading level – the options are plentiful. I keep a running list using my Amazon wish list and often buy them from a local bookstore if I see something that I think that they will like. 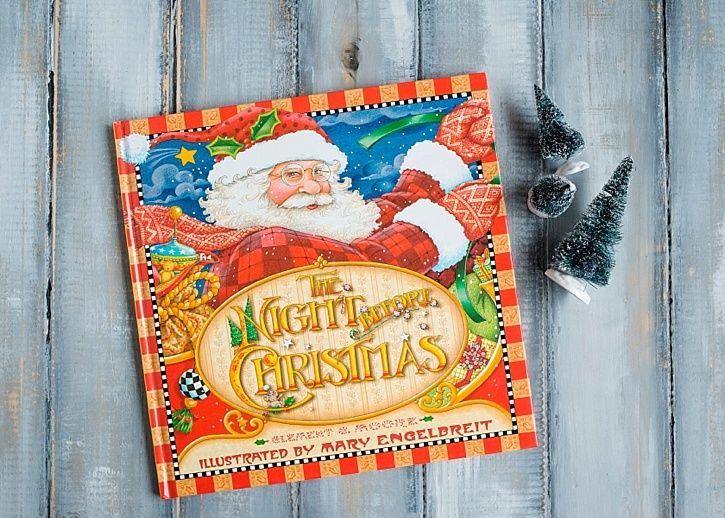 The Night Before Christmas by Mary Engelbreit – You cannot have a Christmas book collection without a copy of this classic. I love this one because of the incredible illustrations. 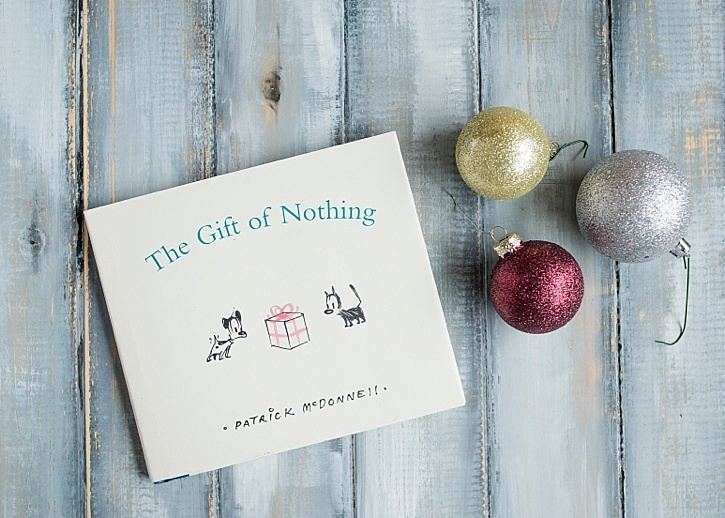 The Gift of Nothing by Patrick McDonnell – A sweet story about what to buy someone who has everything. Spoiler – the greatest gift to give is friendship. 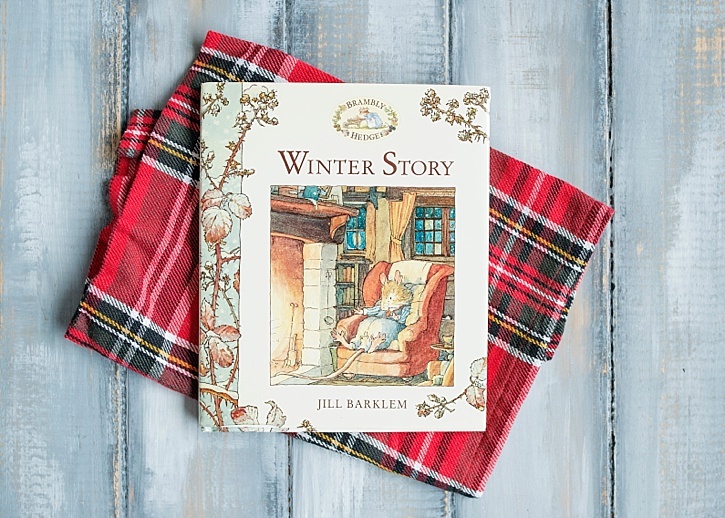 Winter Story by Jill Barklem – A classic from the Brambly Hedge series. This book is out of print, but I found a new copy from a reseller. Beautiful illustrations and a sweet story. 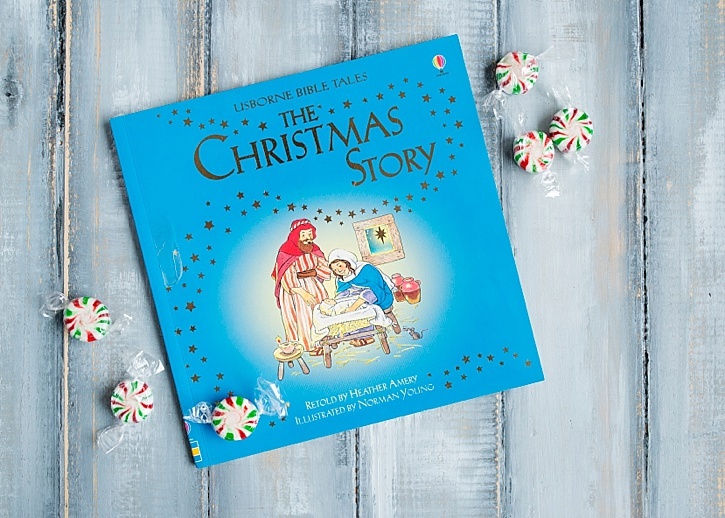 The Christmas Story retold by Heather Amery – I happen to love Usborne books, and they really have an extensive collection of Christmas ones. This is a simple retelling of the nativity story. The Year of the Perfect Christmas Tree by Gloria Houston – Waiting for her father to come home from war, Ruthie and her mother find the tree that he and Ruthie tagged in the spring to donate to the town. A book about courage and family. 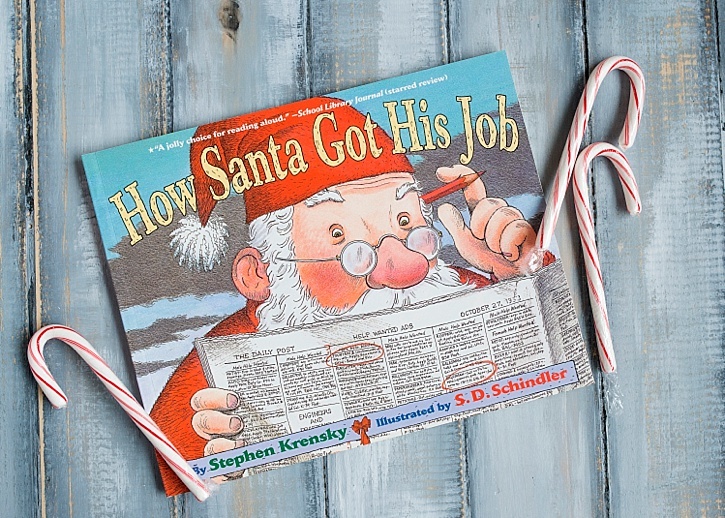 How Santa Got His Job by Stephen Krensky – Just how did Santa get this job? A cute story about how your special talents can help other people. 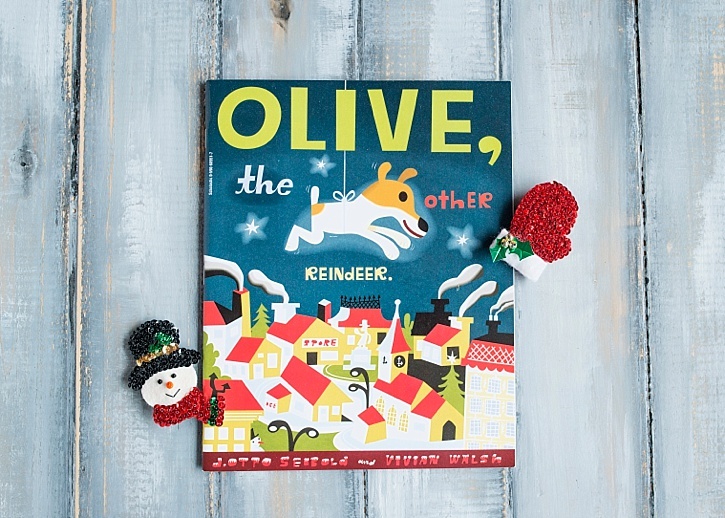 Olive, the Other Reindeer by J. Otto Seibold and Vivian Walsh – My daughter’s favorite of all of the Christmas books. Olive is a dog that wants to be a reindeer. 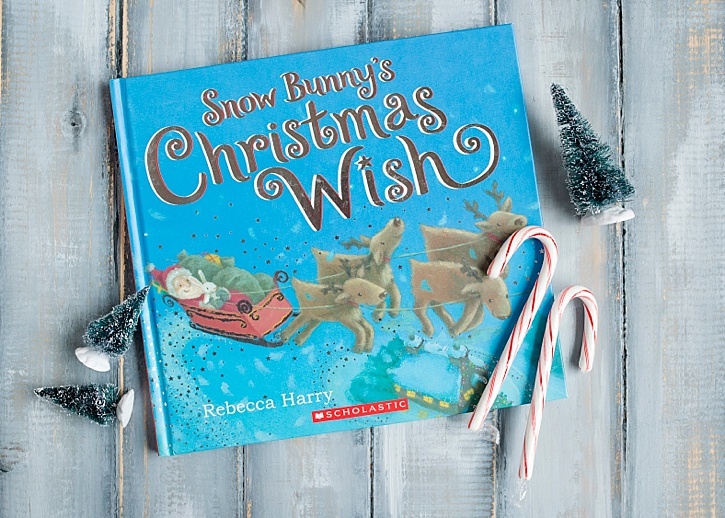 Snow Bunny’s Christmas Wish by Rebecca Harry – Snow Bunny wants to give her letter to Santa, but realizes she needs to deliver it to him in person. Her adventure to the North Pole meets other animal friends that need help. 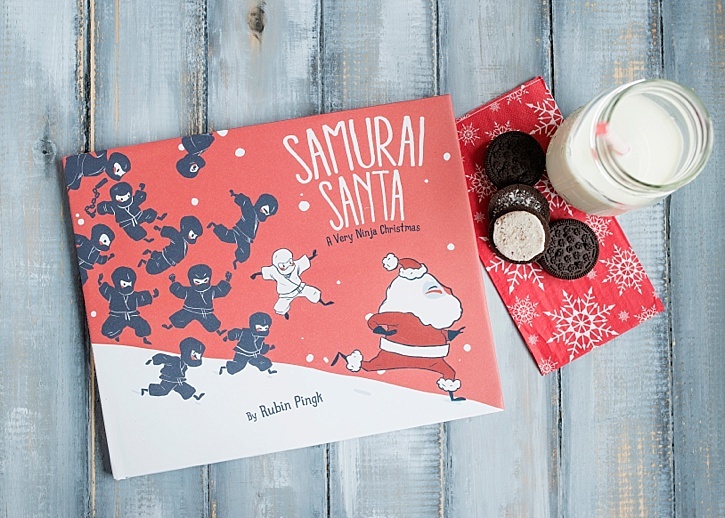 Samurai Santa by Rubin Pingk – When you want to have a snowball fight, but fear of being on the naughty list means no one will play with you. Boys love this one. 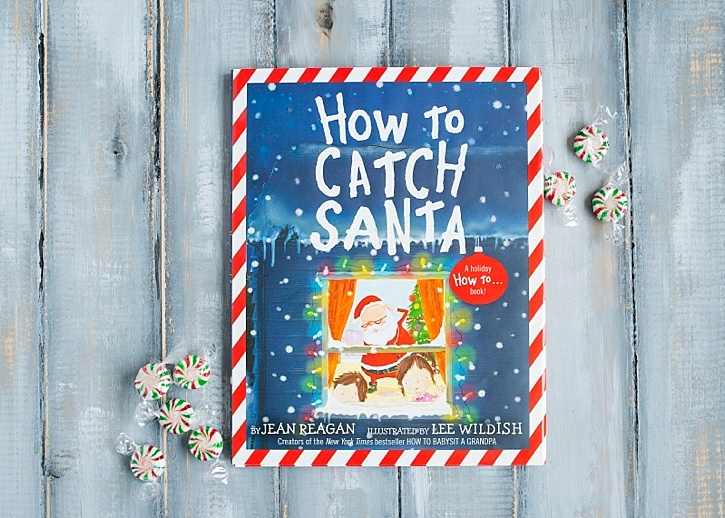 How to Catch Santa by Jean Reagan – There is not a child alive that hasn’t wanted to see if they can catch Santa in the act. A super cute story with beautiful pictures. 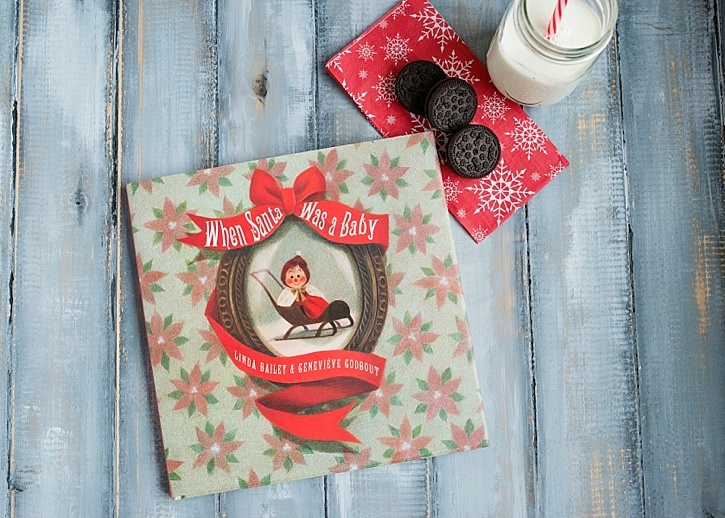 When Santa Was A Baby by Linda Bailey and Genevieve Godbout – Santa was born to be Santa. His early interest in chimneys, giving his toys away, and other clues about what was to come for him. 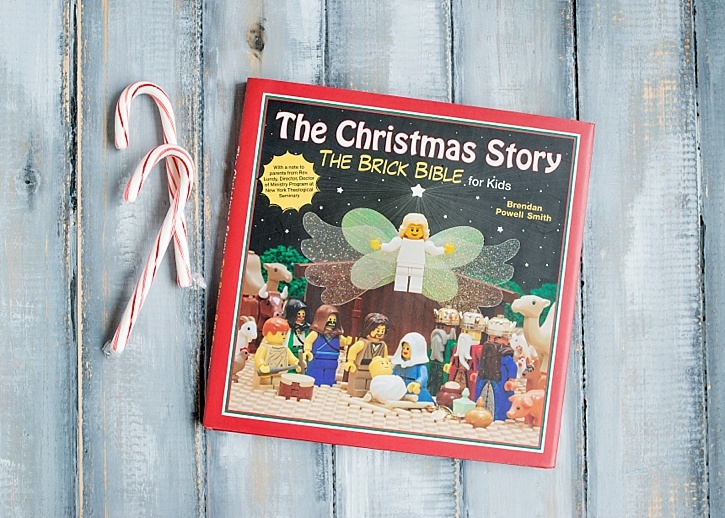 The Christmas Story: The Brick Bible for Kids by Brendan Powell Smith – If you have any Lego lovers, then this is a must have book. My boys love this retelling of the Christmas Story. These are just a few of our favorites. I’m sure as the collection grows, so will our choice of favorites. Each year, I discover new ones that I love, and we read them nightly throughout the holiday season. I hope this tradition finds its way into your home as well. 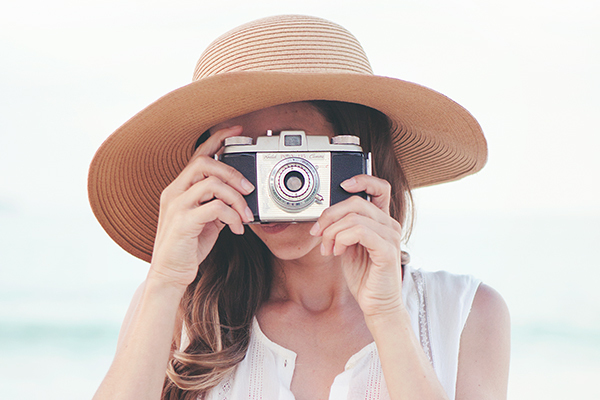 Bree lives in Cape Cod, MA with her Coast Guard pilot husband and 3 delicious children. 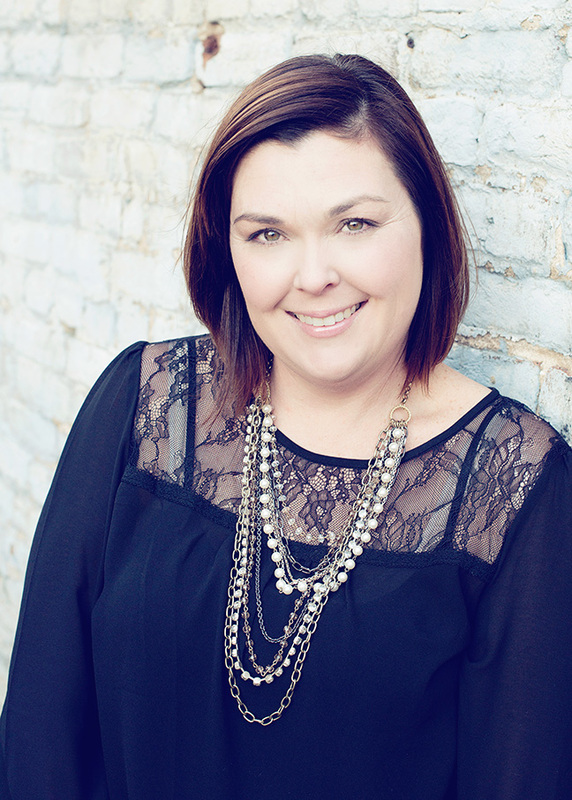 You can find her in her kitchen at bakedbree.com, cooking, taking pictures, and making her house a home. She can also be found at breehesterphotography,com. Thanks for including my book, How to Catch Santa! Put a smile on my face. 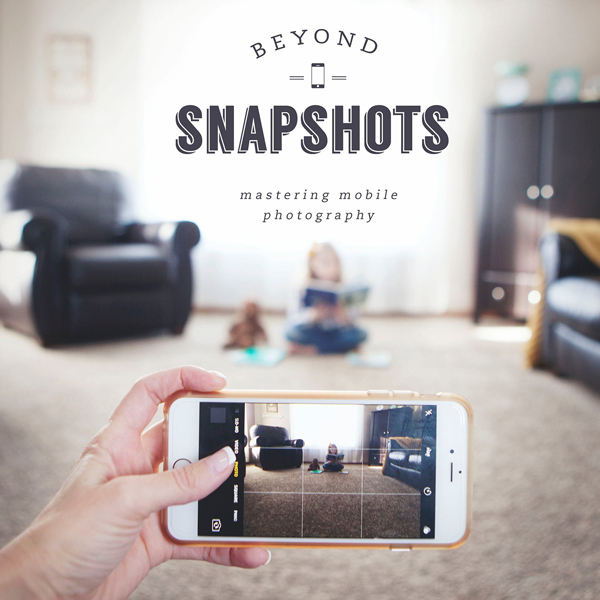 What a wonderful list – love so many of these!